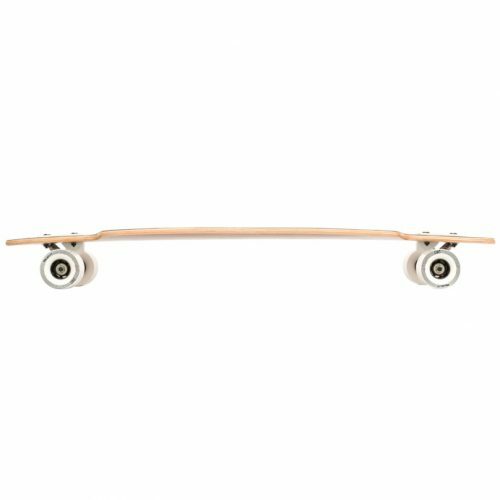 We offer a choice of trucks, wheels and bearings on several of our boards. This allows you to customise your ride to suit your budget and style. Each undercarriage choice has been carefully chosen to suit each deck, right down to the bushings. So it’s easier for you to order a custom board, without needing to worry about things like wheelbite and ride height. Click here to learn more! 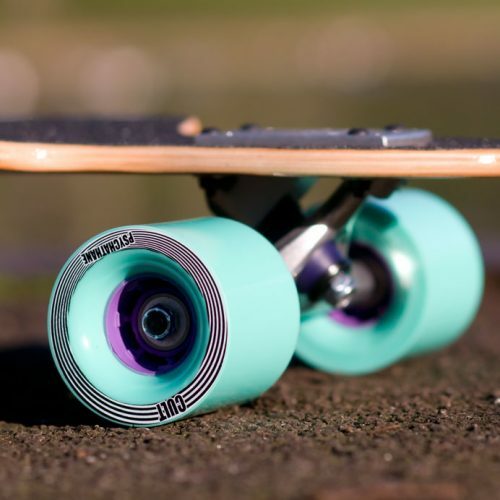 Our newer longboard decks feature moulded wheel arches. Pressed in with the concave, this allows us to create really deep wheel wells without sacrificing any strength and keeping a cleaner look. Avoiding wheelbite has never been easier! Click here for more info. 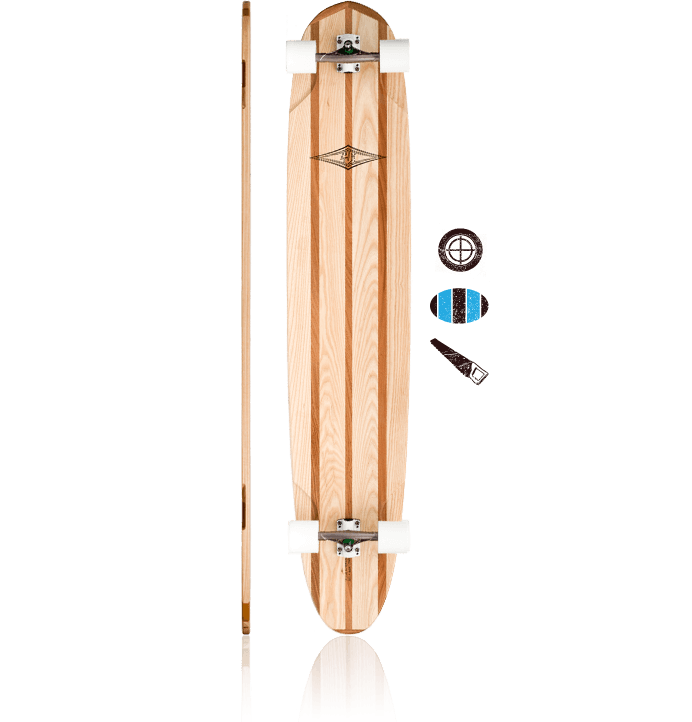 We were one of the first longboard companies to start making longboards with drop-through truck mounts, way back in the early 2000’s with some of our early speedboards. 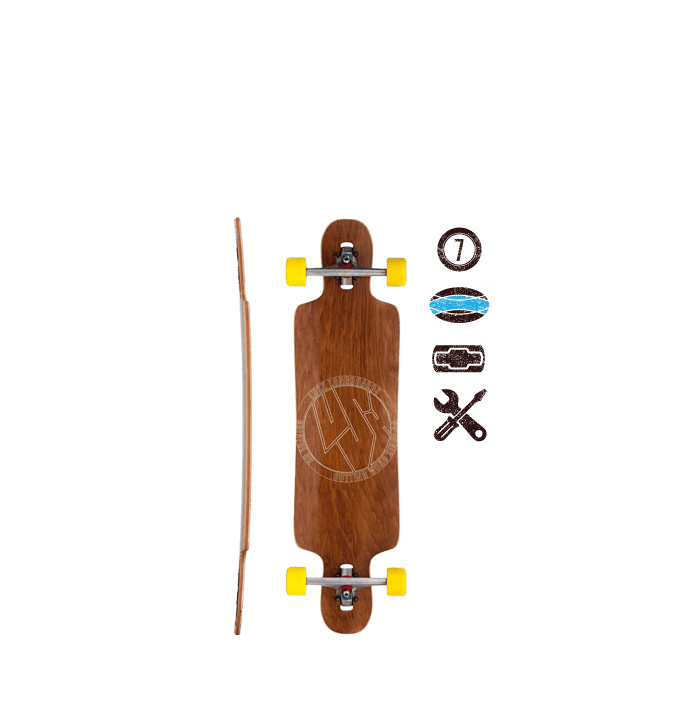 We were also the first to use this truck mounting on a flexier cruiser board, starting a trend which has snowballed since – the drop-through crusier shape has since become one of the “standard” longboard shapes alongside pintails and mini-cruisers. 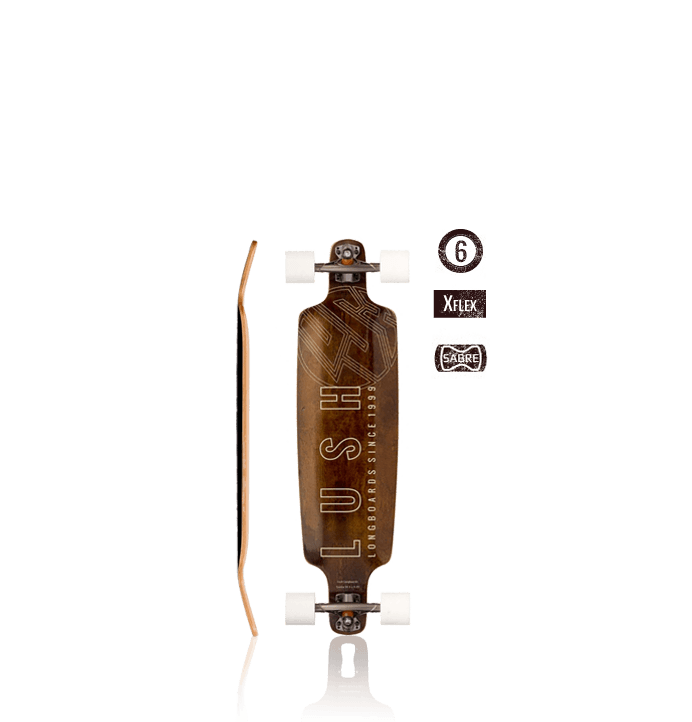 Drop-through longboards skate lower, which means that they are more stable, slide more easily and predictably, and are easier to push and footbrake. 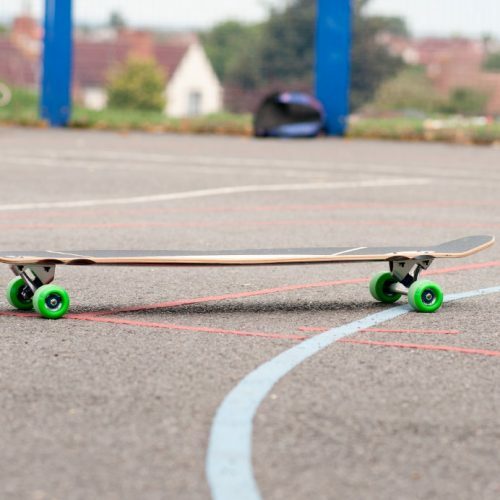 As such, they make great boards for beginners who need to learn how to slide, push and brake effectively. Our adjustable drop-through mount takes this innovation one step further. By lengthening the cutout and adding two extra holes, we can give you a small amount of wheelbase adjustment, allowing you to optimise your ride to suit your style and setup. Click here for more info! 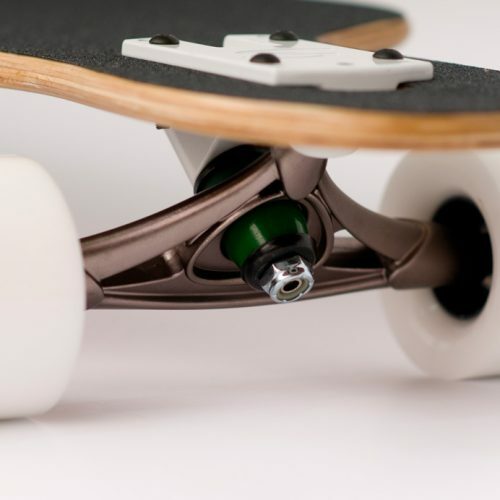 The Lush Samba is designed around the Sabre Trucks Forged Precision Baseplate. 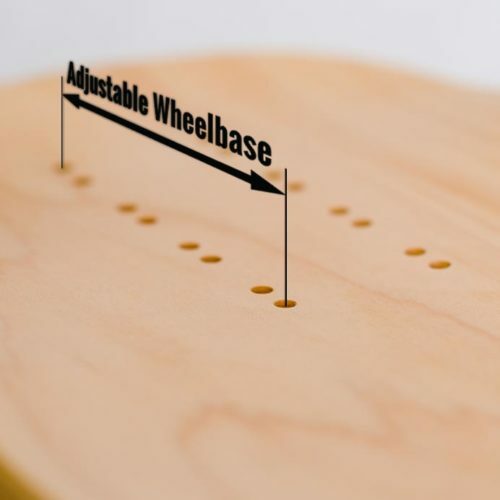 The deck is CNC cut specifically to fit the drop-up 38-degree baseplate, creating a super low ride height and maximum lean. 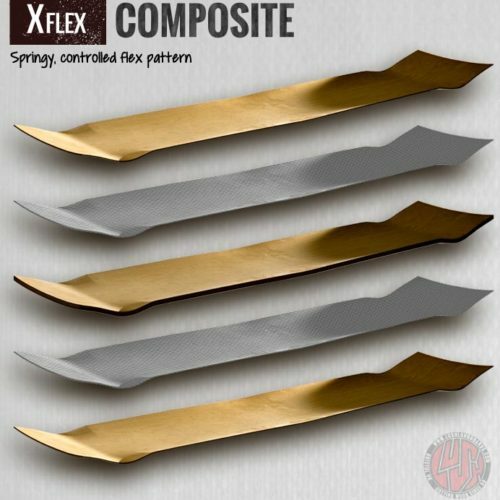 A composite of Fibreglass and Maple, held together with Epoxy glue, we use X-Flex to create flexy longboards with a springy flex and unparalleled energy return. By burying the fibreglass into the layup we dampen the flex pattern a little, creating a lively, controlled flex, which will give you that carving feeling that we know you’re carving if you surf or snowboard. Click here for more info! We want our top-end downhill, freeride and race decks to be as stiff and tough as possible. Stiffer boards track corners better and slide smoother, and we’ve seen what can happen to a deck when it’s been thrown into an armco barrier at 50mph…! 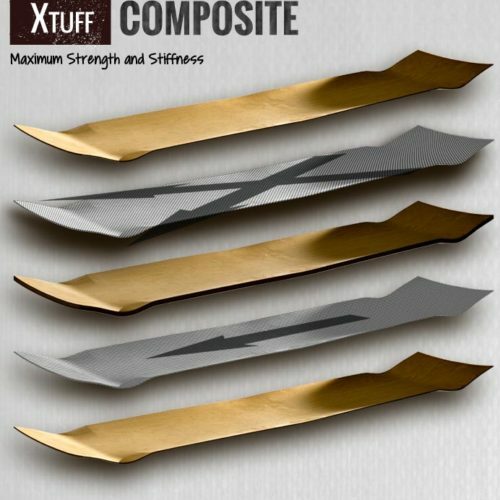 To achieve these characteristics we use our X-Tuff construction – a composite layup of Maple and bi-axial fibreglass, cunningly offest to create maximum torsional stiffness and a minimal, damped lengthways flex to absorb road vibration. Our X-Tuff Construction is also legendary for its toughness… we’ve seen these boards take punishment like nothing else on the market. Click here for more info! 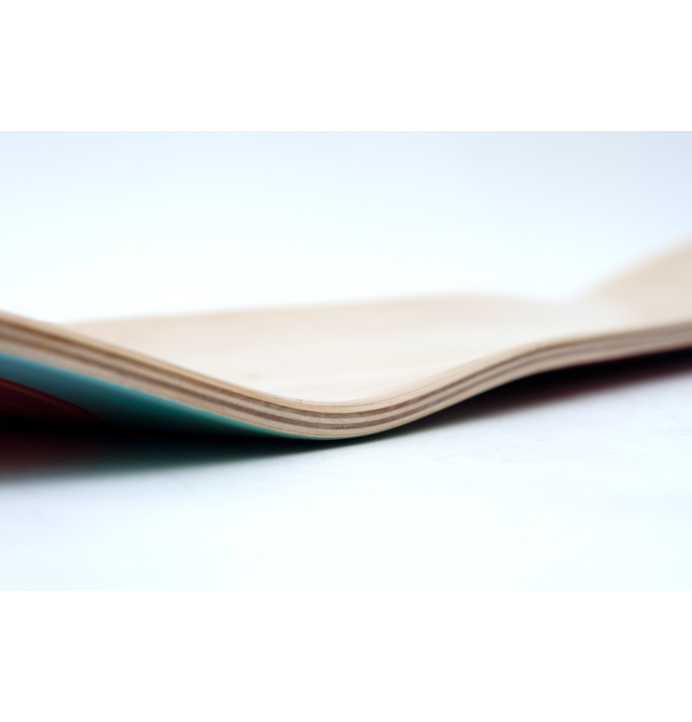 Our 3D Rocker profile bends Maple as far as possible to create foot locking concave and ultimate board feel. 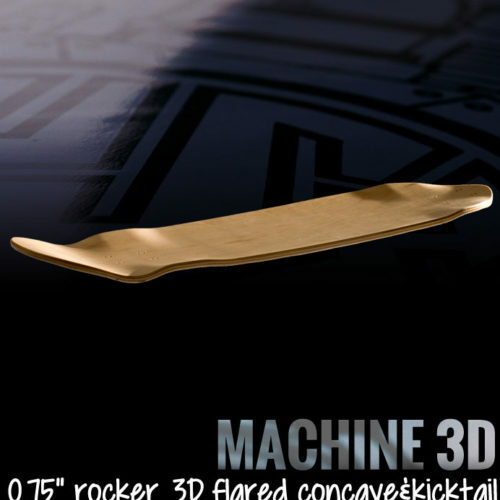 Rocker by itself brings your knees together as you skate, adding board feel and helping you centre your weight. We’ve added 3D wheel flares to prevent wheelbite and give your feet reference points and extra leverage – you’ll really notice the benefits on freeride and slide setups. Click here for more info! We love a bit of rocker on our longboard decks here at Lush… we first introduced it to our lineup back in 2010 and haven’t looked back since. 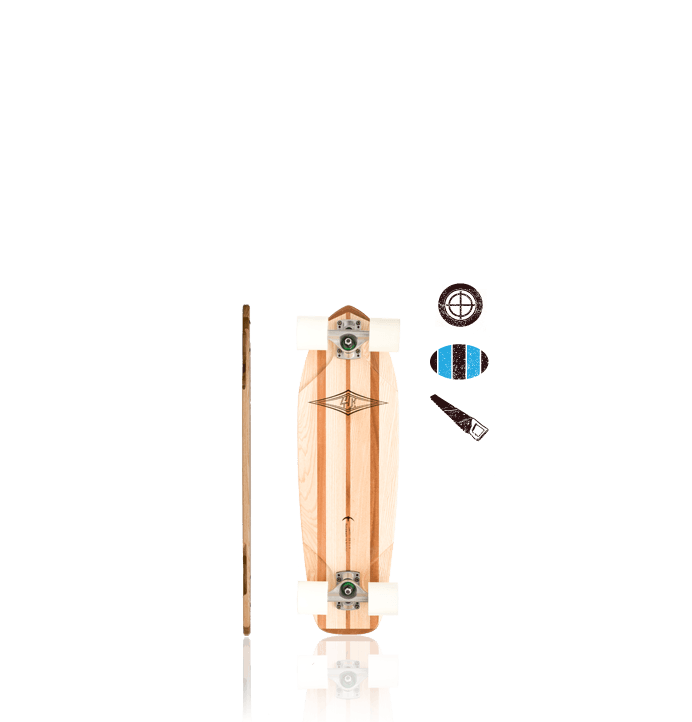 A rockered profile on a longboard brings the skater’s knees together, helping centre weight and improving board feel. 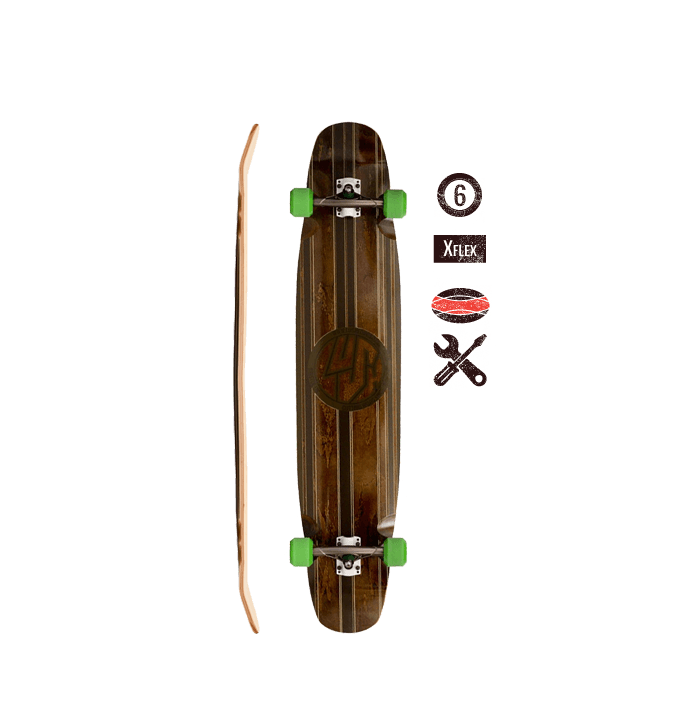 It also helps lock your feet into the board, and the board is essentially concaved along its length as well as across its width. 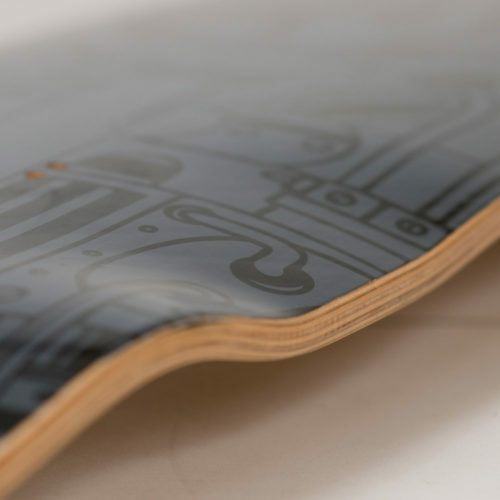 A great alternative to a microdrop or drop-down profile, we’re all about board feel in our decks and we think once you’ve skated rocker, you’ll never go back to anything else… click here for more info! 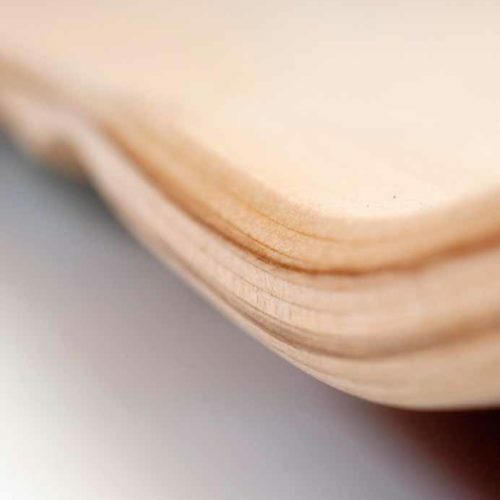 For flexy boards, we use a Cambered profile. 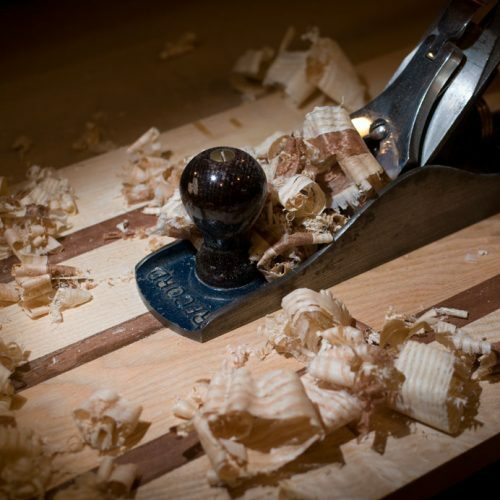 We’ve used camber in various longboards for over a decade – there’s no better way to produce a lively flex from wood. Click here to learn the benefits! Denotes 6 plies of Canadian Maple – very flexy and light! 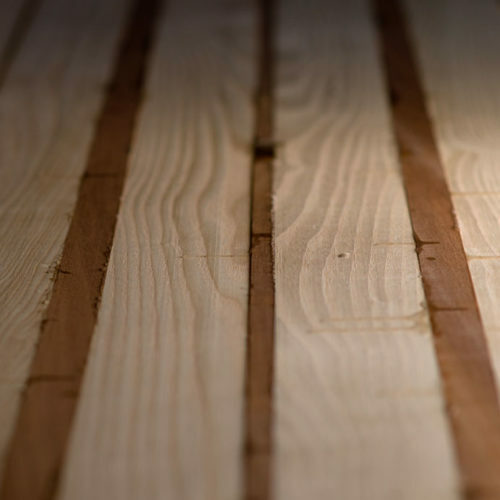 We only make boards this thin when we’re supporting the wood with X-Flex. 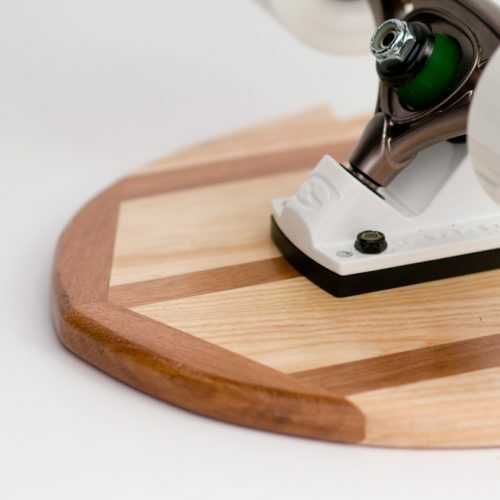 Longboards made using 6ply maple are very light for their size, and have a lot of bouncy flex – perfect for carving, cruising, pumping and dancing. Welcome to the Lush Longboards Lineup - rider driven, shaped with passion, by longboarders for longboarders in the UK since 1999. 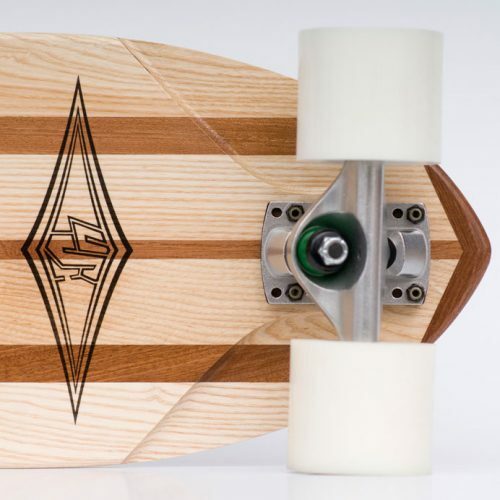 We have been around long enough to have seen longboards evolve with longboarding itself - the first Lush boards were hand-cut from 12mm birch on the kitchen table, a far cry from today's hydraulically pressed 3D concaves. One thing remains the same though - we're still skating, and we're still listening to our customers and team riders. After 17 years of fun, our commitment to building the best longboards we can for as many kinds of skating as possible is stronger than ever. Use the ratings on each deck to choose your ride. 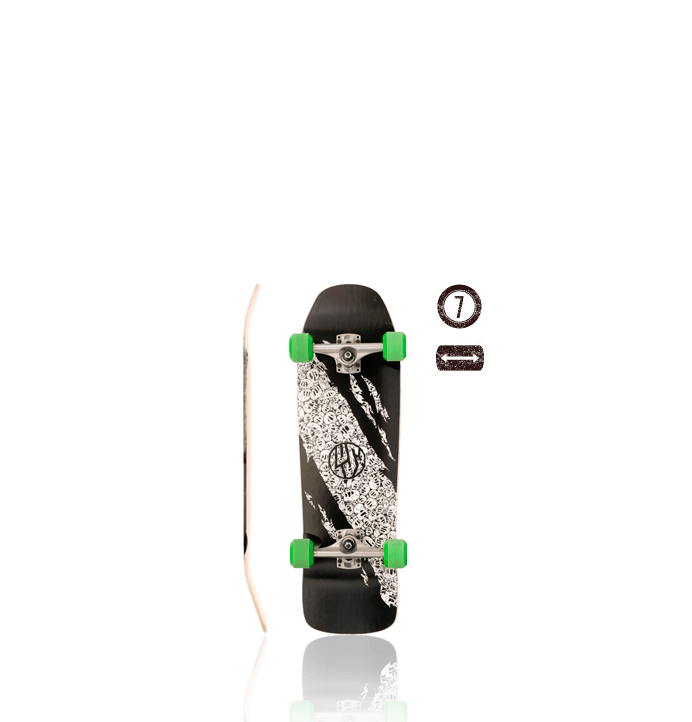 From cruisers and dancers to freeride, slide and speed addicts, we have a deck for almost every occasion. If you're still stuck, check out the "what board for me" page in the Workshop! Welcome on board - we hope you enjoy the ride!